Sydney, Australia is a vast and beautiful city with many lovely marinas for boaters to choose from. 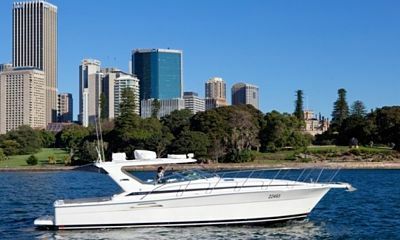 However, a few stand out from amongst the others, and will help boaters by providing necessary services and convenient locations to explore Sydney Harbour. Ranking among the premiere cities of the Southern Hemisphere, Sydney is internationally recognized as one of the most iconic destinations in the world. The elegant lines of the Sydney Opera House and the striking Harbour Bridge are seared into the minds of people all over the globe. Unsurprisingly, it is also a magnet for ocean lovers and boaters. While there are many marvelous places to visit or cruise by in the Sydney Harbour area, there are a few particularly nice marinas where you might consider tying up for a while. Situated between parkland on one side and Sydney Harbour on the other, the d’Albora Marinas Rushcutters Bay is right where the action of the city lives. Rushcutters Bay itself is in the middle of the Eastern Suburbs of Sydney, and mere minutes from the famed city’s center. Pull into this marina (which boasts inspiring views of the Harbour Bridge) if you want to truly experience the pulse of city life and see the sights that put this area on the map. Before night falls, you will likely want to sample at least one of the plethora of cultural experiences that the city can offer. From museums of history such as the Museum of Sydney and the Australian Museum to museums of art such as the Powerhouse Museum or the Museum of Contemporary Art, there is much to inform and inspire. Artistic centers abound such as the Theatre Royal, the City Recital Hall, and (of course), the inimitable Sydney Opera House. One of the original waterfront marinas of the Eastern Suburbs, Double Bay Marina lies just east of the city’s center. Considered a “boutique” marina, the size of this establishment makes for a more easy-going atmosphere, while its location ensures that no boater is ever wanting for activities. While still very close to the city, Double Bay allows for the convenience of proximity while giving off more relaxed vibes and offering undeniably beautiful beaches. Whether you head to Bondi Beach, Bronte Beach, or Coogee Beach, you are sure to enjoy the harbor views the expansive stretches of sand. Pack a picnic to go, or treat yourself to any one of Double Harbor’s excellent restaurants. This area is all about quiet enjoyment, so you will find that parks such as Moore Park, Kamay Botany Bay National Park, or the lovely Bondi to Coogee Walk (a coastal trail) are quite popular with locals and visitors alike. Moore Park houses the Centennial Parklands, where you can go horseback riding, cycling, or hiking. There are plenty of nearby malls and boutiques, as well as Bondi Markets — where you can find an eclectic range of wares that varies from designer to handmade to vintage. If athletics are more to your liking, then consider stopping by the Sydney Cricket Grounds and Allianz Stadium to catch a sporting event before heading back to the boat. Located near scenic Mosman to the north and across the Harbour from the heart of the city, the d’Albora Marinas The Spit is the ideal spot to tie up your boat as you explore the natural wonders of New South Wales. Nature lovers and outdoorspeople will relish the many delights that this picturesque area provides. 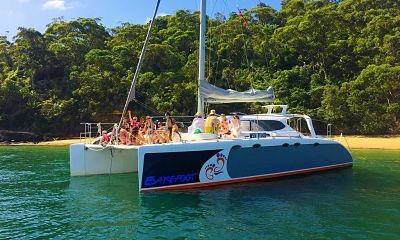 Whether you are into walking, snorkeling, swimming, or sailing, Balmoral Beach is sure to become a highlight of your boating trip. Take a stroll along the beachside promenade, or spend all day playing in the calm waters. Chowder Bay is an excellent place for amateur surfers, while Chinaman’s Beach and its lack of waves make it the perfect stop for a family picnic after a morning with the kids at the Taronga Zoo. Amble down the breathtaking Bradleys Head to Chowder Bay Walk to escape civilization for an hour or two, or instead head to Military Road to explore quaint boutiques and get a bite to eat at one of Mosman’s charming cafes before setting sail again. Nestled in an area known for its stunning beaches, secluded coves, and laid-back lifestyle, Davis Marina is definitely worth a stop on your way in or out of Sydney Harbour. Surfers, explorers, and boaters alike come to Manly to escape the throngs often found in more populated areas and to immerse themselves in the unparalleled beauty for which the region has become famous. Whether you need to stretch your sea legs or you are itching to play in the water (after playing all day on it), Manly is a destination that is not likely to disappoint. 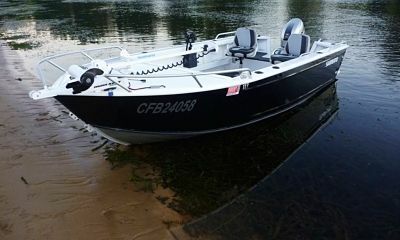 After you have put the boat to bed, you can grab your surfboard and head to the long stretch of coast that makes up Queenscliff Beach, North Steyne Beach, and Manly Beach to catch some waves, or perhaps take the person you love on a romantic picnic to the more secluded Freshwater Beach, Little Manly Cove, or Collins Flat Beach. 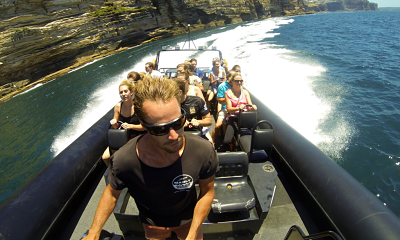 Visit the SEA LIFE Sanctuary, a public aquarium; hire a bike to pedal along gorgeous coastal trails or pull on hiking boots to take on the Manly to Spit Bridge Walk. Weekend markets offer plenty of local wares and cuisine, and the Steyne promenade is also an excellent place to shop or eat. Head to Manly Wharf to sample the fare at casual eateries and pubs, and be sure to make the trip to North Head — clifftops covered in heath — that offer an incredible panoramic view of the Harbour before you cast off for new adventures. Sydney is a unique and awe-inspiring place. You can see for yourself the beautiful contradiction that is the city — a land of both urban sophistication and unvarnished, natural beauty, somehow coexisting in harmony. This is apparent nowhere more clearly than from the water. A good, local marina will provide for your needs and will facilitate your adventures as you make your way through the Harbour City.